“OPEN THE FLOOD GATES FOR IMMIGRATION,” declared the Jew, Senator Jacob Javits of New York, in his and the Jewish Lobby’s promotion of the Immigration Law of 1965. In plain terms, Javits & US Jewry were declaring war on America’s dispossessed majority, white Christian Americans. American Jewry, a highly organized, intensely ethnocentric & abominably wealthy minority, is hell bent on ruling over a pummeled and guilt-ridden white majority. 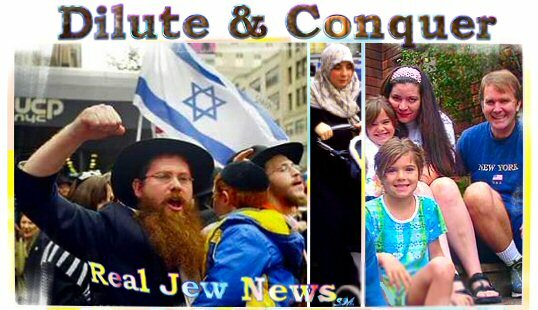 Jewry accomplishes this by diluting and fragmenting the white Christian population through ‘multiculturalism’ vis-a-vis acts of Congress and the Jewish-run mass media. 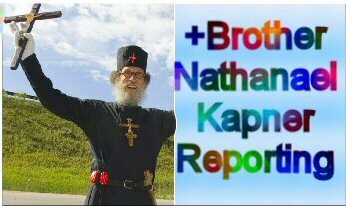 Jews fear and will do anything in their power, (and they now have all the power in America), to eradicate any semblance of nationalism emanating from white Christian Americans. “Diversity Is Our Strength!” is the Jewish-conceived media/law-making campaign of Jewry’s beloved pluralistic society, yet another Jewish-inspired agenda for an America society expunged of a white Christian dominating presence. But while “diverse” Americans, whether naturalized or illegal immigrants, are now competing with American born whites in the job market, it is the Jews, and the Jews only, who grow stronger in such a scenario, while diverse groups grow economically and politically weaker and serve only to dilute any opposition to Jewish-Zionist hegemony. In his classic work, The Dispossessed Majority, Wilmot Robertson points out that since the Anti-Semitic taboo has made it impossible to submit the Jewish question to open inquiry, Jews have set themselves above the rules of conventional democratic conduct. 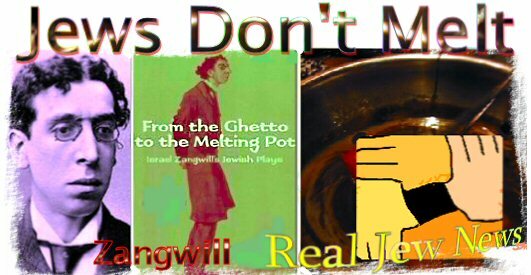 Take for instance the concept of the immigration dream of an American “melting pot.” This slogan was put forth by the Jew, Israel Zangwill, in his 1909 book, From The Ghetto To The Melting Pot. Though Jews will tout the “melting pot” idea to the highest heavens, they themselves do not want to “melt.” Jews would rather die than live in a black suburban neighborhood. Rather, the Jews are intent on retaining their ethnocentric identity in their own wealthy neighborhoods and they use this identity to present themselves, (though abominably wealthy), as a “persecuted” racial group. The current economic crisis is a two-edged sword for American Jewry. On the one hand, Jews fear that an economic downturn will provoke a backlash against them for being responsible for the crisis. This fear was justified recently in a November 2008 poll which showed that 31% of Europeans blame Jews for the global financial crisis. But on the other hand, an economic crisis coupled with a rising military state under the Zionist puppet-president, Barack Obama, ensures that Jews will be protected from a civil uprising against them. 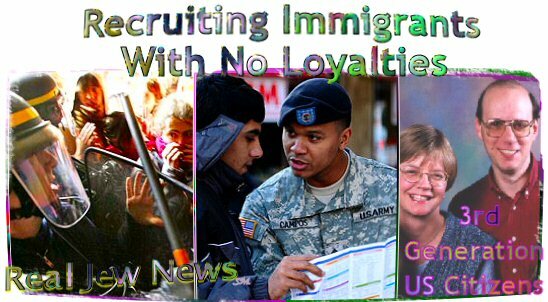 Accentuating this scenario, the New York Times reported on February 14, 2009, that the American military will begin recruiting immigrants who are living in this country with temporary visas, offering them the chance to become US citizens in as little as six months. These immigrants will have no loyalties to white American citizens and no concern for American freedoms AND they will be biased toward the all-powerful Jews. Should Americans blame the Jews for the current economic crisis as 31% of Europeans now do? Some Americans are inclined to do so when pointing out that the loss of America’s manufacturing base due to offshoring of American jobs is a significant cause of the economic downturn. The Jewish-dominated garment industry, a leader in offshoring, is one of the most globalized industries existing today. In recent years, Jewish-owned American chains such as The Gap, The Limited, Old Navy, Banana Republic, Tommy Hilfiger, and Reebok, have been purchasing from sweatshops located in China, East Asia, and Bangladesh. By the year 2000 at the turn of the century, over 60% of America’s clothing needs were imported from overseas. The Jewish-dominated toy industry has also been outsourcing their toy-making since the 1990’s. Both the garment and toy industries, run mostly by Jews, have been among the first to outsource their products and thus began destroying America’s tax revenue base. 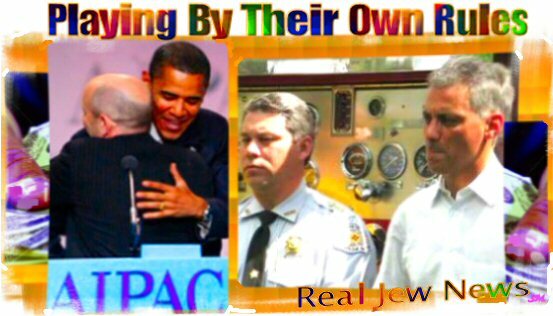 The dispossession of white Americans from their former spheres of influence in the work place, political affairs, and banking, (the Saving & Loans banks, now defunct, for instance), has been usurped by a small elitist group using the cover of Judaism to protect them from criticism of their affairs. To censure Jewry’s activities is to invite the wrath of the Jewish community upon oneself as being guilty of “persecuting” a “downtrodden” minority. My compliments on a excellent website. VERY effectively analyses Zionism and Jewism and their deadly influences on our society and civilization! The Jews do rip off the government. Look at a nursing home in Cleveland that is Jewish and stealing tons of money by lying on their MDS scores. Best website design I’ve ever seen. Bravo, my friends. Excellent info, 10/10. Also, I’m amazed that you’ve been posting since ‘07. With that determination, you can conquer the world.